Fire That Burned Through Bel-Air Started at a Nearby Homeless EncampmentHidden under an overpass, a homeless encampment near one of L.A.’s wealthiest neighborhoods sparked a massive blaze last week. A Singer Allegedly Shot a Homeless Man After He Asked Her to Move Her PorscheKatie Quackenbush, 26, was charged with attempted murder in Nashville. 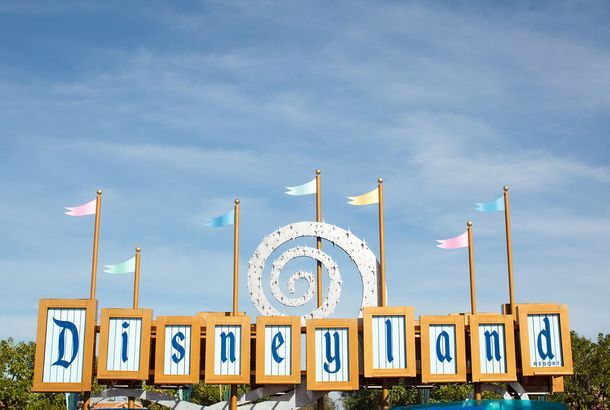 Disneyland Workers Say They’re Facing Homelessness Because of Low WagesThe “happiest place on earth”? Not so much. Why It’s So Hard to Stop Being Homeless in New YorkThe city spends $1.2 billion a year on homelessness. Yet the crisis only gets worse. Eight homeless New Yorkers explain why. Mayor de Blasio to Propose 90 New Homeless SheltersRenewed attempts to stem the very public homelessness crisis. New York City’s Homeless Population Is About to Hit 60,000The de Blasio administration insists that without its assistance programs, the numbers would be even worse. Another Tech Bro, Another Bad Blog PostThe real victims of homelessness: entrepreneurs. Cuomo Executive Order Forces Homeless Indoors in Freezing WeatherThough that may be illegal. Another Official Working on Homelessness in NYC Is Stepping DownDeputy Mayor Lilliam Barrios-Paoli left the de Blasio administration a few months ago. De Blasio Announces a Nearly $3 Billion Plan to Help Homeless PeopleThe program will focus on providing housing and social services to help people get out of the shelter system. De Blasio: NYC Won’t Go Back to ‘Bad Old Days’A roundup of de Blasio’s reaction to the homeless problem this summer — and his critics’ reactions to his reaction. Queens Residents Encourage Their Kids to Shame Homeless PeopleThere are better ways to protest. Number of Families in Shelters Rose in January53,615 people stayed overnight in city facilities. Children Leaving Disgusting Homeless SheltersDasani’s story led to action. Homeless People Asked Nicely to Leave SubwayThey won’t be forced to, just strongly encouraged. De Blasio to Host ‘Invisible’ Homeless Mother at InaugurationThe subject of the New York Times’ shelter exposé has been invited to De Blasio’s swearing-in. U.S. Homelessness Is Down, But Not in New YorkAccording to a one-night H.U.D. survey. More Homeless People Went Underground This Winter The number of people sleeping on the subways rose by 13 percent. New York Homeless Shelters Had a Banner WinterMaybe that’s why Bloomberg doesn’t see them. Homeless Boot Recipient Stashed His New FootwearHe’s not sure what to think of all this attention. NYC Needs More Homeless Shelters ASAPThe Bloomberg administration plans to open five more by the year’s end. Mayor Bloomberg Says People Stay Homeless Because the Shelters Are So Damn NiceOh, and maybe the economy — that, too. America Isn’t Quite Ready to Use Homeless People As WiFi HotspotsRight? New Homeless Shelter Rules Nixed by JudgeIndividual adults will not have to prove their homelessness just yet. NYC Wants Single Adults Out of Homeless SheltersCity Council is fighting Bloomberg on a new proposal. More and More Homeless People Are Sleeping at Occupy Wall Street SitesLines are blurring between demonstrators and vagrant populations. There’s Been a Surge in Homeless New York City StudentsThe number quadrupled in just two years. NYC to Begin Collecting Rent From Homeless With JobsShelter residents would owe up to 44 percent of their income in first year of program.